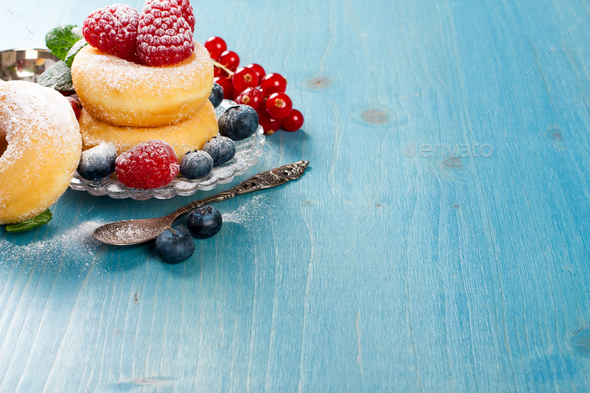 Morning breakfast with mini donuts and berries on plate under powdered sugar on blue wooden background. Tasty donuts closeup. Doughnut. Copy space.